My congregation at my church had such a fun activity this last week! We got together as women and had what we called a “Pinterest Night”. Pretty much, it was a food-fest with creative projects to display and teach all wrapped up in 2 hours of fun. I highly recommend this activity, and am here to recommend some food I got to try as well. I will be featuring the Strawberry Lemonade Cake. But before we get into that, let me finish explaining this fun night. We grabbed food and ate and talked, and talked and ate. As we were finishing up, we got to listen to different women come up and give their fabulous ideas they found on Pinterest (or elsewhere. I won’t lie, I don’t even have a Pinterest account! Crazy, huh? My husband even has one! But, he doesn’t use it). There was a magic cure for stained microfiber couches: Rubbing Alcohol. She said it got both the nail polish stains (from her) and spaghetti-o stains (from her husband) out! You rub it with a cloth and then simply blow-dry. Crazy and cool! 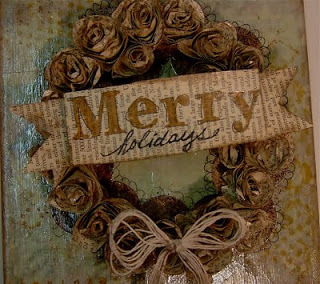 There was a wreath with paper roses. It looked really simple and yet so cute. (see picture above)My favorite was one she had made from sheet music. It looked very elegant, and since sheet music is usually on both sides, it helped make it look more complete. 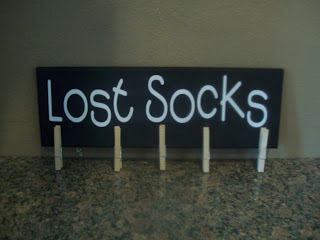 There was a cute board with clothespins to hang missing socks, or to keep socks together. The girl who brought the board had one that said “ looking for my Soulmate”. Awesome idea. And then there was a display table to show crafts, accessories, and decor all made from ideas they had found, including laundry soap, duct tape belts, and baby boy’s room decor. I highly recommend this activity with anyone you want to do it with. I think it would be great for family reunions, girl’s or guy’s night, a couples party get-together, a church function, or anything else where creativity, food, and fun would be invited! 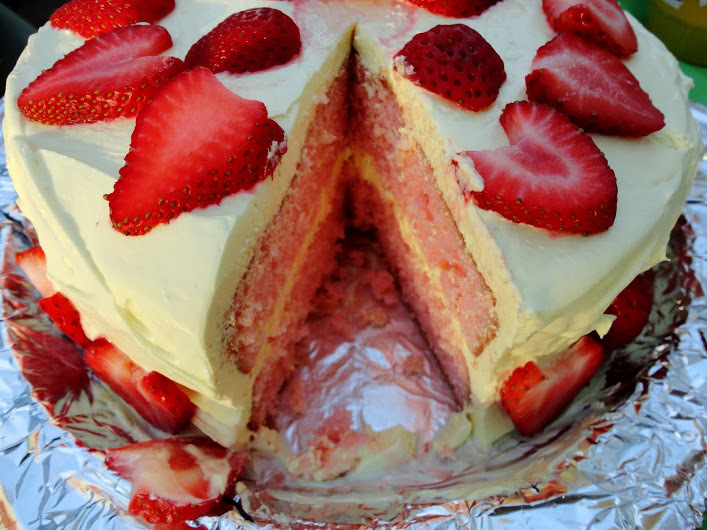 Okay, now to talk about the refreshing Strawberry Lemonade Cake I tried. It’s beautiful with it’s summer colors, and has the name of a great, cooling thirst quencher. The taste is refreshing as well with a cool-whip type/lemon flavored topping. I wouldn’t even call it frosting because it was much lighter that that. It’s really worth a try and would be beautiful dessert for your next Pinterest night! Make cake according to box and bake in two 9-inch round cake pans as directed. Turn finished cakes over on cake racks and allow to cool completely. Cream together the cream cheese, lemonade and yellow food coloring until smooth. Mix marshmallow creme in and then mix in Cool Whip until completely smooth. Cut each cake layer in half. Alternating layers of cake with layers of filling, assemble cake. End with layer of filling. Top with sliced strawberries. Refrigerate and serve chilled.